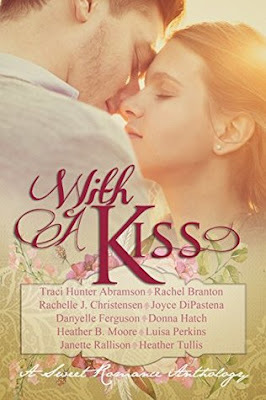 Come back to Echo Ridge and delight in 4 contemporary romances! Each heartwarming, inspirational story is set in beautiful upstate New York. 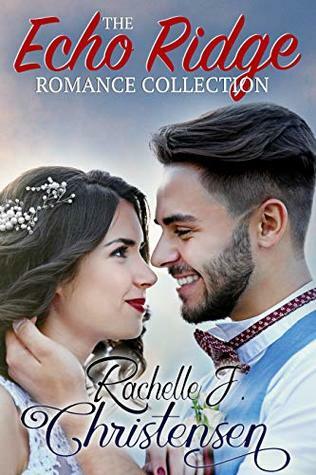 This box set includes bonus epilogues and a sneak peek of Rachelle's new book! Savor a recipe with each of the stories and come back for more. NOTE TO READER: THIS VERSION of The Kiss Thief contains a BONUS EPILOGUE! Do you remember your first love? Have you ever wondered what would happen if you had a second chance to follow your heart? I enjoyed each of these stories and the creative plots and likeable characters. They each have ties to the wonderfully cozy community of Echo Ridge, and it was fun to get to know more people there. The library is especially a place I would love to visit, and Britta and Milo's story was my favorite. Overall, I somehow didn't quite connect with the emotions and feelings so it was like I was simply reading about them instead of experiencing it with them. They were entertaining and fun though, so I'm planning to give the author another try with one of her longer books that has great ratings from my Goodreads friends. Love can be a very dangerous thing. At least it seems that way to Adri Pyper, the premier wedding planner in Sun Valley, Idaho. When one of her clients dies mysteriously, Adri takes the advice of the local detective and swears she will stay out of the investigation . . . this time. Luke Stetson's involvement in the case, along with the possibility of a kiss between the two, should be enough incentive to keep Adri out of trouble. But when a dog-themed wedding is almost ruined by a suspect, Adri and her assistant, Lorea, are thrust into private eye mode. When poison enters the picture, even a reluctant sleuth can’t steer clear of danger. $25 cash giveaway plus an ebook bundle of the Wedding Planner Mystery Books 1 & 2. (gifted via Amazon) Ends 3/3/16 Open only to those who can legally enter, receive and use an Amazon.com Gift Code or Paypal Cash. Winning Entry will be verified prior to prize being awarded. No purchase necessary. You must be 18 or older to enter or have your parent enter for you. The winner will be chosen by rafflecopter and announced here as well as emailed and will have 48 hours to respond or a new winner will be chosen. This giveaway is in no way associated with Facebook, Twitter, Rafflecopter or any other entity unless otherwise specified. The number of eligible entries received determines the odds of winning. Giveaway was organized by Kathy from I Am A Reader and sponsored by the author. VOID WHERE PROHIBITED BY LAW.